This 20 degree dome stroker piston yields 10 3/4 to one compression and works great in the 110®, MVA® and hurricane® heads. New for 2017 is a internal milling operation that removes 28 grams per piston. 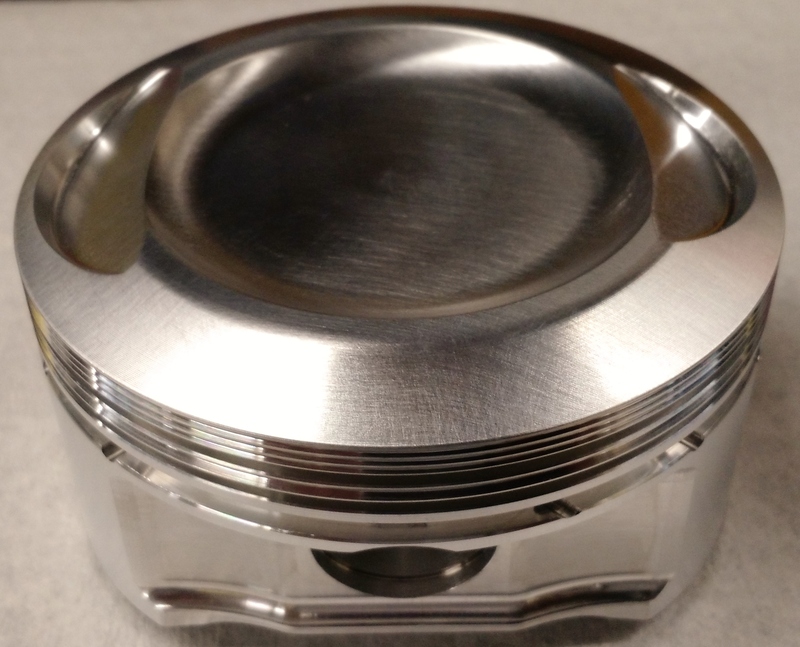 This piston requires chamber machining for installation. total weight of 2 pistons complete with rings, pins, and keepers is 1062. Dome volume 12cc.